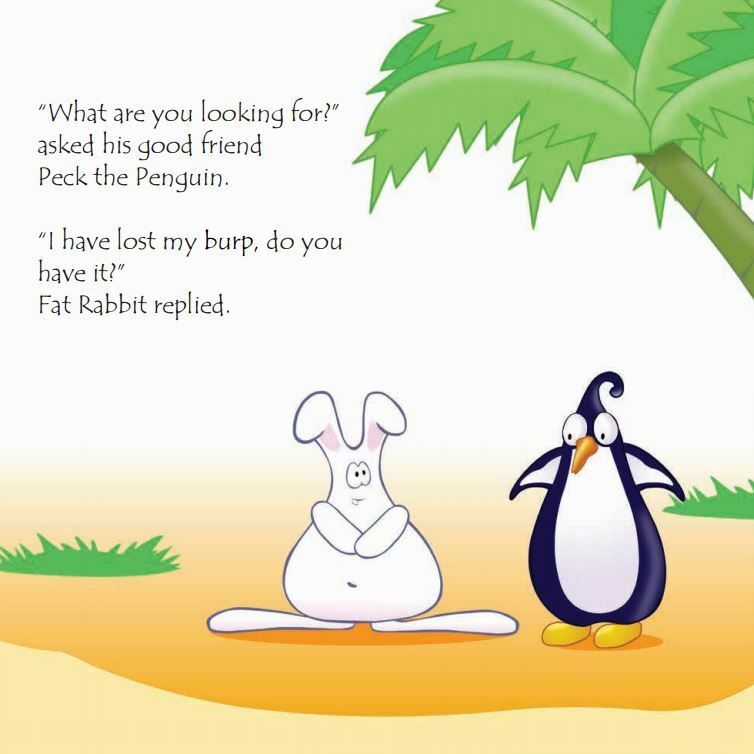 In the third book of the series we find Fat Rabbit feeling sad because he has lost something he loves. Fat Rabbit has lost his burp! 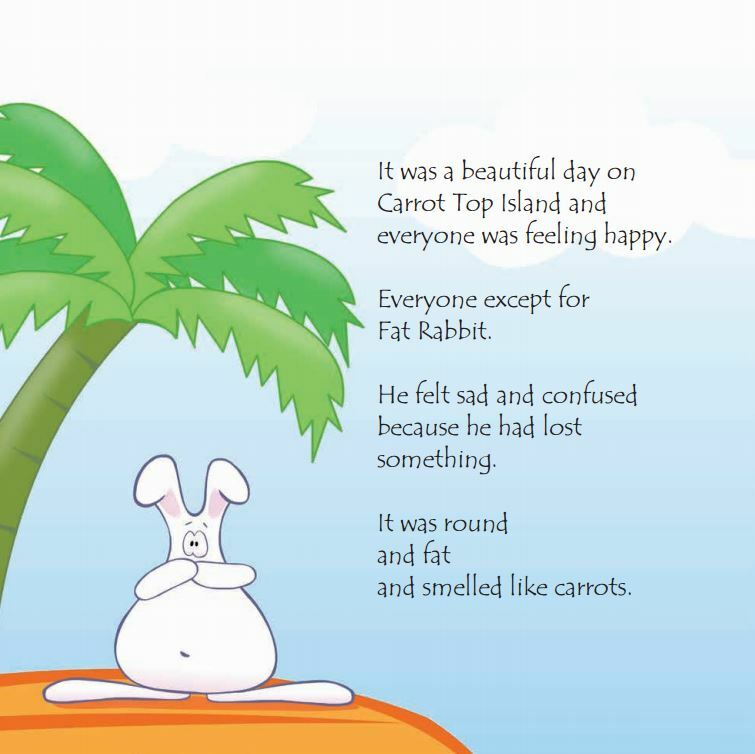 Join Fat Rabbit and his friends on Carrot Top Island as they go on a quest to find his missing burp. Along the way they learn important lessons about good manners, spatial awareness and working together. A colourful book with an enchanting story and loveable characters; this will entertain and hold the interest of your child. 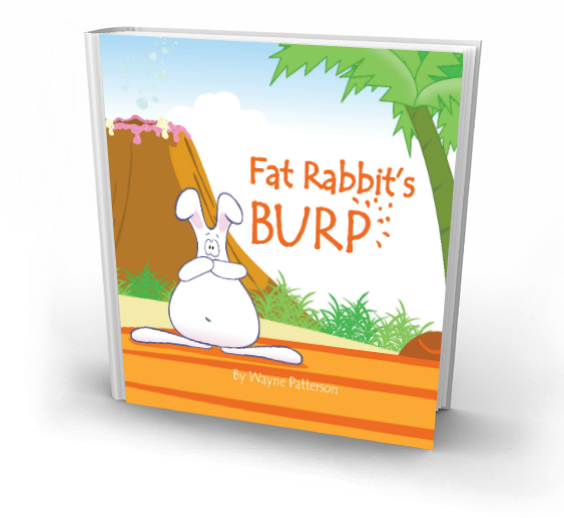 Fat Rabbit’s Burp will definitely appeal to the preschool/kindy age group. More text, new friends to meet and what kid can resist a book about burps?! The adventures of Fat Rabbit continues! 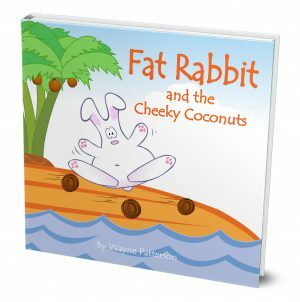 Once again simply written with ongoing messages for everyone, but fun and entertaining, my Nephew is now reading Fat Rabbit to his little sister, look forward to seeing what this nightly little rabbit gets up to next! 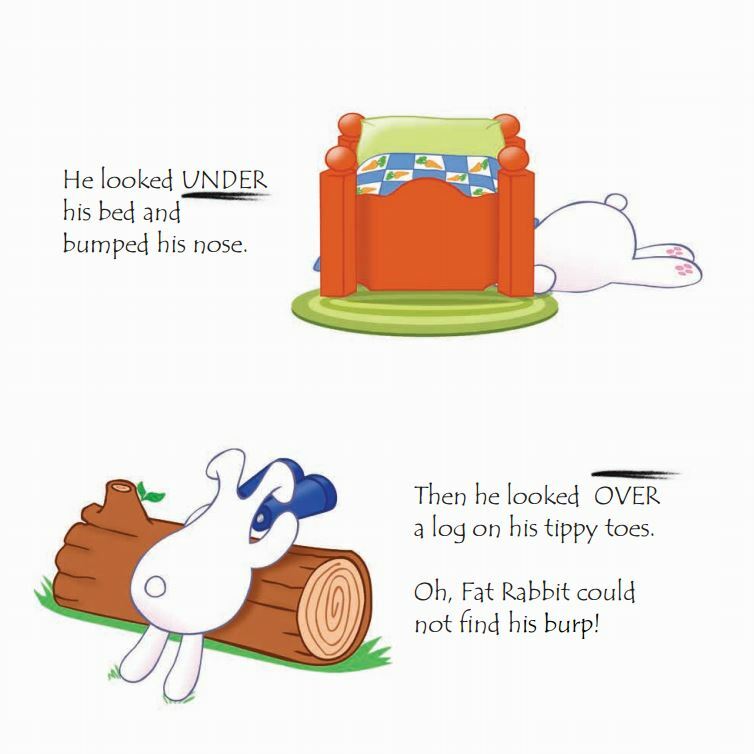 So much fun in the latest Fat Rabbit book. Talking about burps will capture the imagination of many little people! 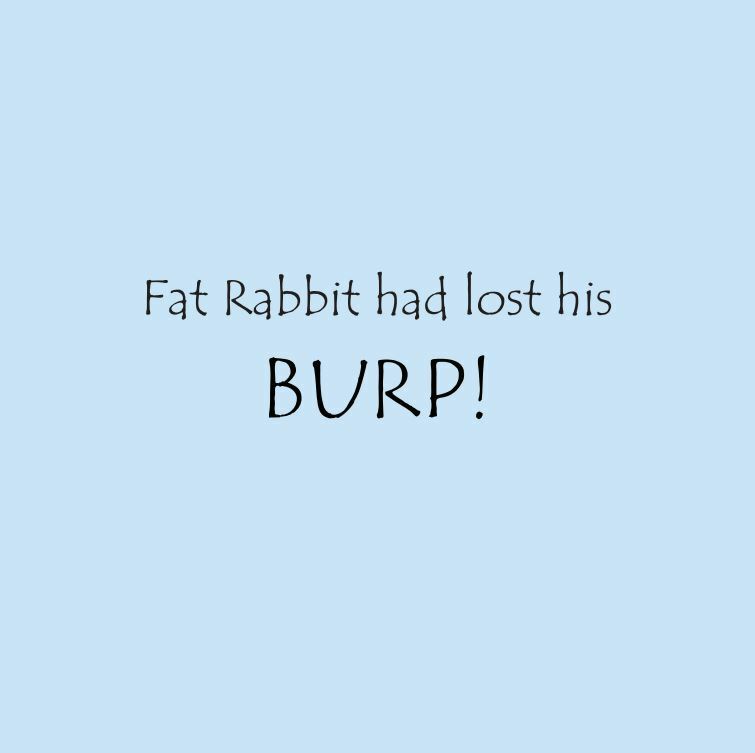 Meeting all of Fat Rabbit’s friends and checking out their burps adds to the fun and of course…….manners are emphasised at the end! Loved it! My boys LOVE the latest Fat Rabbit adventure! Our book lives permanently on my bedside table so that whenever my boys climb into bed with us, that is the first book we read! My 7 year old granddaughter received Fat Rabbit’s Burp (alongside Fat Rabbit himself!!!) for Xmas and was thrilled to be able to read the book to her 5 year old sister by herself. 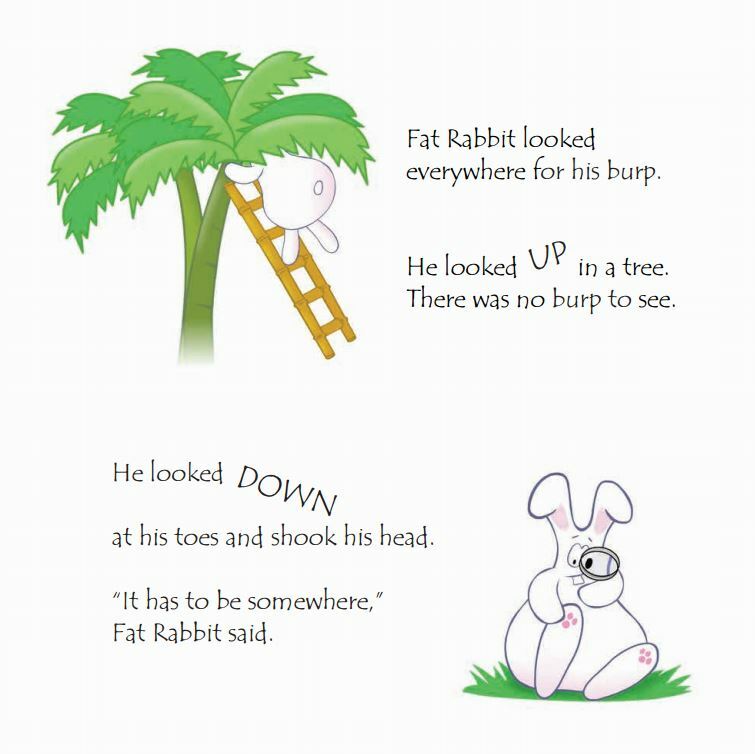 Fat Rabbit’s Burp contains a little more text than the previous books making it an ideal gift for the new reader. 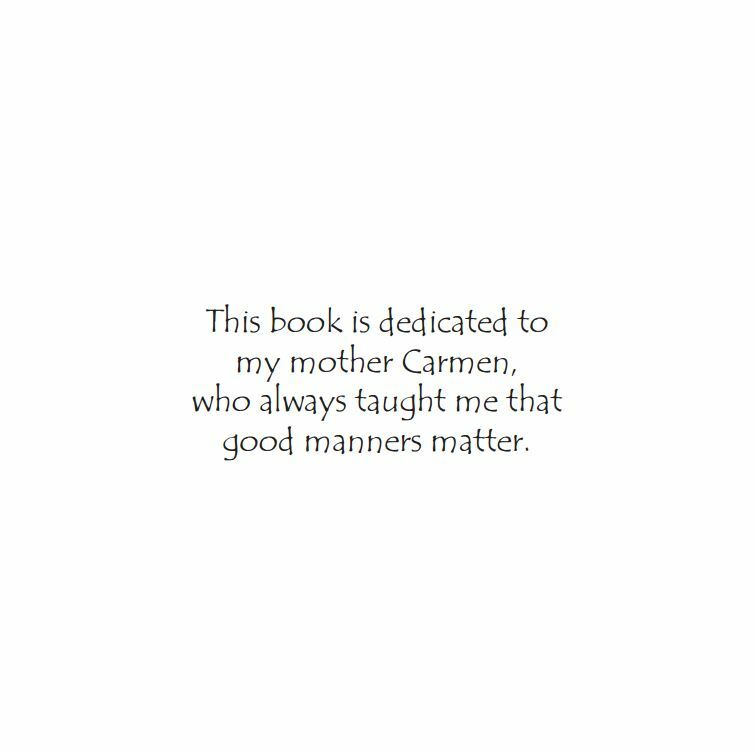 The fact that this book also contains a gentle reminder to use our manners makes it a winner. Not your standard kids book, such a great story with a good message. Beautiful and colourful illustrations. Great for all young children. A beautiful and funny story with a good message. 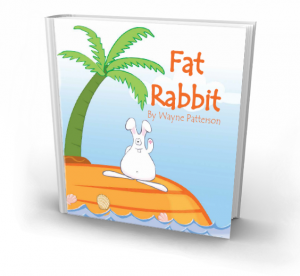 The fat rabbit world is simple, adventurous, friendly and loving, which is exactly what I want to inspire my 1 year old daughters imagination and love for stories. Plus she cracked up laughing when her Daddy showed her his burp! Such a great fun book. 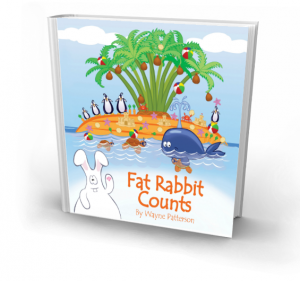 It was received as one of three Fat Rabbit books as a gift for my two year old with a soft toy. The clear images and story line are easy to follow and its lovely to see a manners message included which is really important to my family. We’ll done. Highly recommended.